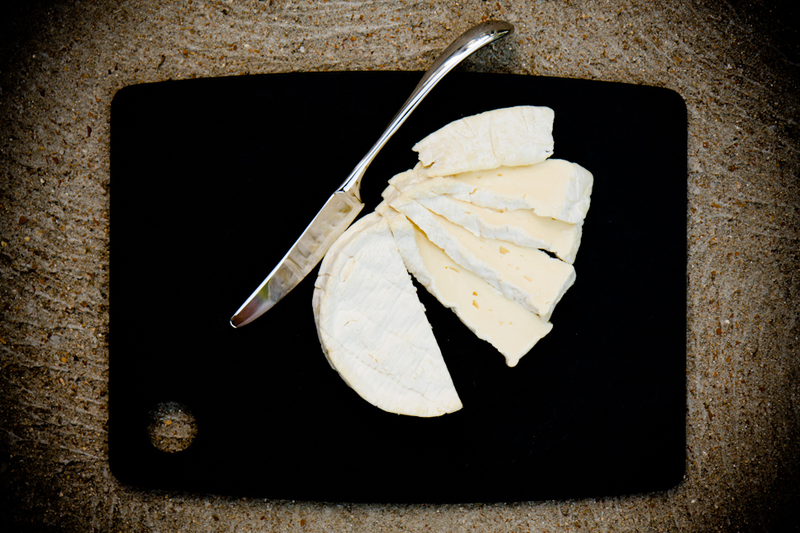 Shiraz wine, walnuts, Camembert cheese, and dark chocolate could be wine bar fare at its best. In my cupcake-centric world, however, they are the ingredients in wine and cheese cupcakes. 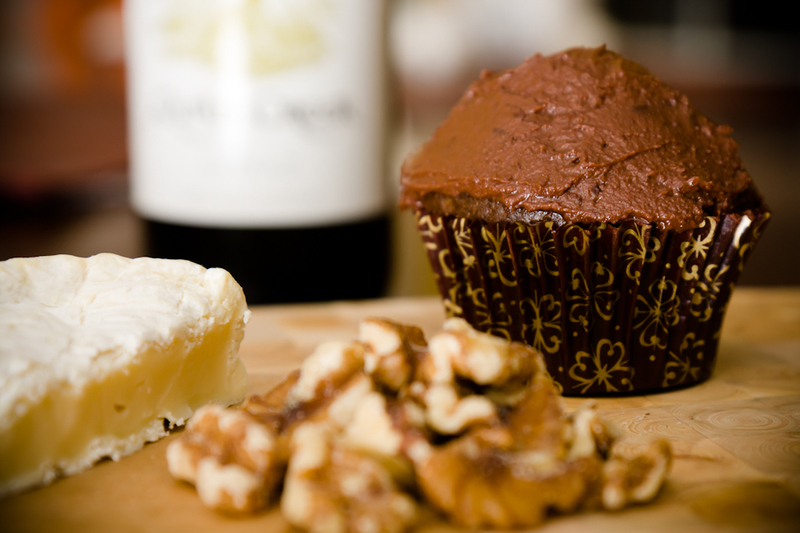 Serve these wine and cheese cupcakes at your next wine party. In fact, plan a wine party around them. These wine and cheese cupcakes are worth it! Don’t be scared by the Camembert. It’s a stinky cheese, for sure, but once it’s baked into the cupcakes, your guests won’t detect it; they will only note a that these chocolate cupcakes have a sublime sophistication. They are chocolate cupcakes all grown up. Note: While it’s a common practice to nose wine before drinking it, be careful about nosing the cupcakes. You may end up with a frosting-covered schnoz. The Devil and the Monk cupcakes, using Chaumes cheese. Peach pie cupcakes with brie cheese. Black bottom cupcakes with goat cheese. Cooking With Wine inspired these cupcakes in a roundabout way. I created this recipe by modifying a chocolate red wine cake recipe that I found on Eric Hazzard’s Wine Hazard. It’s worth heading over there just to read the way Eric writes the recipe. It’s different and fun. The recipe originally came from Food and Wine magazine and was inspired by Anne Willan’s Cooking with Wine . 1 1/4 C dry red wine I was looking for a wine that would pair well with Camembert and ended up using a Shiraz, thanks to Miranda McElhiney's suggestion on my Facebook page. Feel free to experiment with other wines. Frost the cupcakes with red wine chocolate ganache. Enjoy!